The production and marketing of ice cubes is a profitable business during the summer, the main clients are the owners of bars, clubs or for various private events. First of all, it is necessary to invest in the purchase of ice cube making machines. These are found in the stores at prices between 800 - 1000 euro. Such a machine produces 100 kg of ice cubes in 24 hours, the only raw material consumed being water. It is also necessary to have / lease and arrange a space for production. It can be found at a convenient price because there is no need for an area with commercial vad, selling being made by delivery. 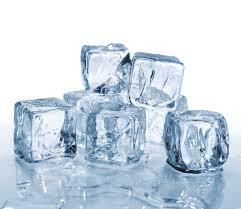 The sale prices for 1 kg of ice cubes vary between 0,5-1 euro depending on the quantity of ice cubes ordered. Packaging can be made in bags of 2-3 kg, and can be stored in high-capacity freezers. If we estimate the productivity of a single ice cube making machine (100kg / 24h), we can estimate a production of 50-100 euro in 24 hours. 0 Response to "Ice cubes production"